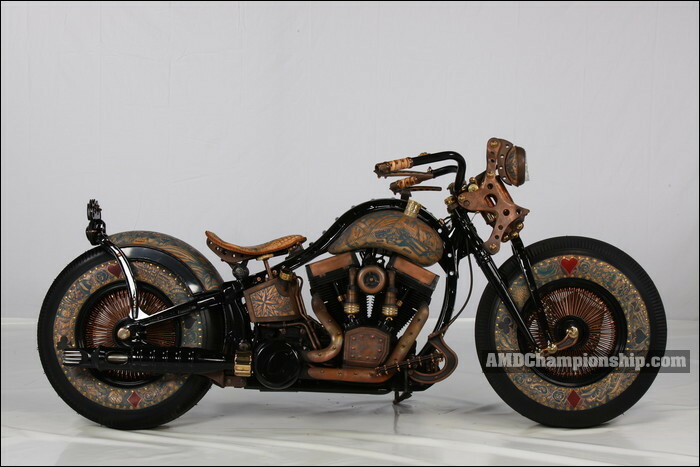 "Cheyenne Bike - The Recidivist" is a bike inspired by the art of permanent body adornment. 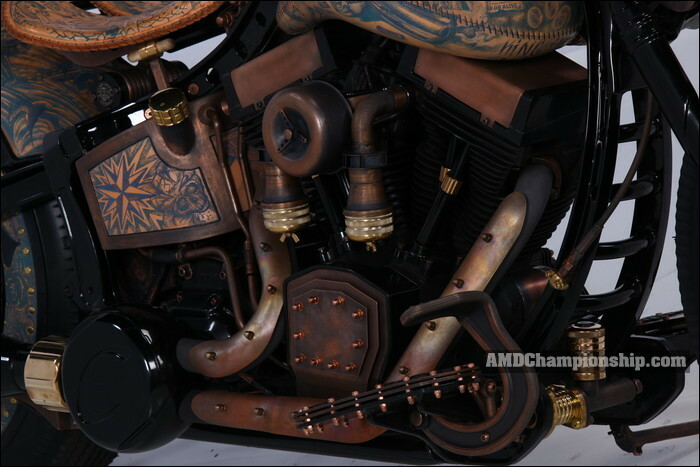 Motorcycle created in cooperation with German company Cheyenne Professional Tattoo Equipment and Dutch Zodiac Performance Products for Harley-Davidson. 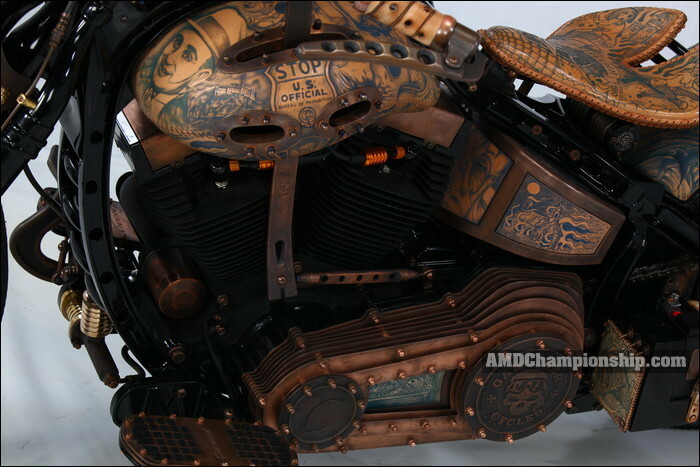 Entire construction is covered in tattooed skin branded directly onto the bike's tires, tanks, seat, rear fender and many other smaller elements. 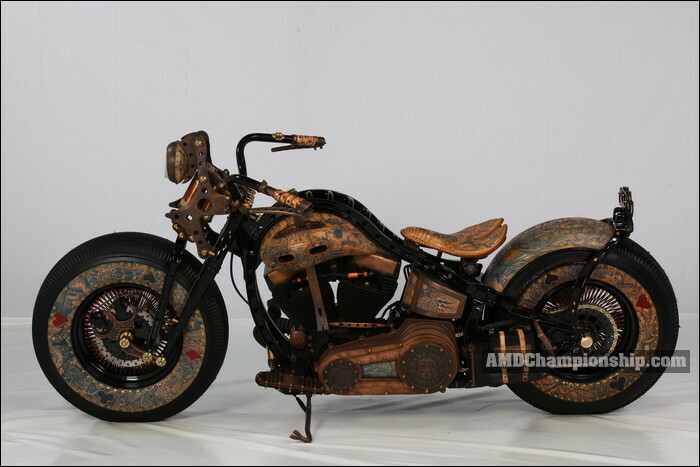 Elements made by the GOC include: frame made of C-bars (modified from HD Softail the frame), rear swingarm made of C-bars, front suspension with shock absorbers, steering wheel with shift paddles and handles, brake pump, foot control, rear wing, fuel tank, seat with mounting, engine covers along with engine barrels, air filter, front and rear lamp.